​I come from an art background. I graduated the School of Visual Arts in NYC with a Bachelor of Fine arts in 1993. I started learning Tai chi in 1998 and then began a serious study of internal martial arts in 2004 at the Wutang PCA under Frank Allen and Tina Zhang. My interests have always been body mechanics and ease of movement. 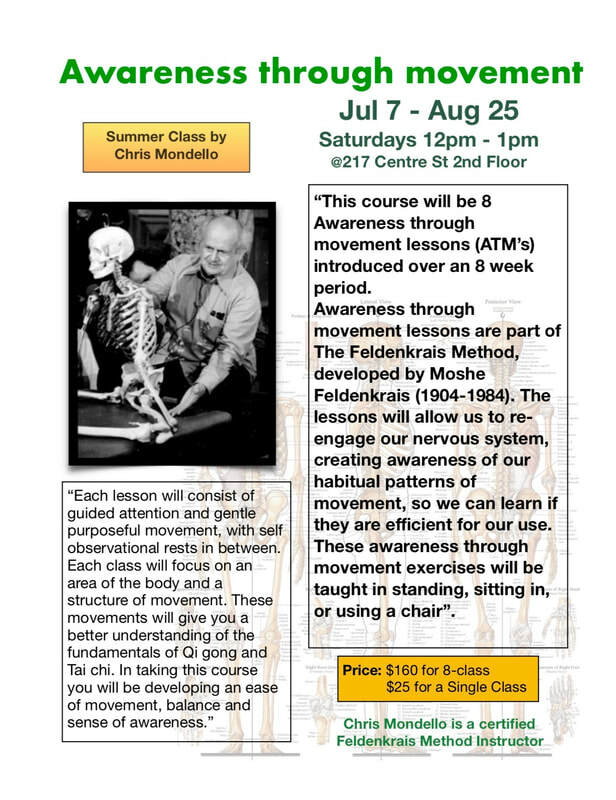 These interests have also led me to the study of the Feldenkrais method, which has aided me with chronic pain and has enriched my training in internal martial arts. I am now a certified Feldenkrais practitioner and continue advocating the study of internal martial arts. Please register the class. You may pay online or in class.